The best keep secret in Naples. Fantastic location right next to Cambier park. 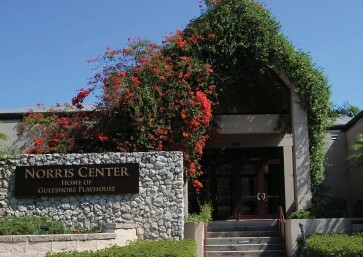 The Norris center located in the heart of Naples has it all. Stages for presentations inside and out. Massive open spaces for running and playing. Perfect rooms for experiments and fun activities. All their staff is helpful and available when you need them. Super location for an amazing Camp! Do you love computers, electronics, machines, and working on new ideas? You are a robotics engineer! This summer build on your knowledge and skills as you and your team of engineers build a robot. Learn electronics, programming, and machine mechanics. Have your robot sense objects, pick things up, and compete in fun challenges. By the end of camp on Friday, you and your team will invite your friends and family to participate in the Robo Expo. Where they will watch you compete, demonstrate your robot, and enjoy part of the excitement you experienced all week! Do you love all things science, are creative, and to show what you know? You are ready to become a super scientist and an amazing artist! See and play with the best experiments, science gadgets, and goo available. Watch us perform awe-inspiring acts of science, learn how it’s done, and then do it yourself! Once you have practiced and perfected your presentation then it’s time for the show! Send out tickets and invite everyone you know to see The Best of Super Science and Amazing Art show. Performed by you and your friends on Friday, this show will be one they won’t forget. Do you love stories, making mini-movies, and entertaining your friends? Then let’s set up the lights, bring in the backdrop, and cue the sound! It’s time to make a movie! You will experience every part of movie making. Acting, directing, lighting, sound, storyboarding, and costume design. You will edit your work with the same program the professional studios use to add music and special effects. The Camp becomes a studio where you and your friends run the show. Then we roll out the red carpet for all of your friends and loved ones to, eat popcorn, and enjoy your film. A film that lasts forever! Do you love improving things, sharing new ideas, building and breaking stuff? You’re an engineer! Breakout the materials, the tools, the duct tape, let’s start building. You will compete with your friends in engineering challenges. See what works and work to improve your ideas. Make catapults fling things farther, airplanes fly higher, motors boats move faster, and buildings stronger. In one week you will experience 5 different types of engineering; Chemical, Electrical, Mechanical. Aerospace, and Civil. At the end of the week, you will share your design ideas with your family and friends at the 2019 World’s Fair. Everyone will get to see your work, have fun trying the challenges, and enjoy an hour of camp with you. Do you love mixing things together? Are you a slime-making professional? Is snack time the best time? Then don’t miss Kitchen Chemistry Camp! We make the best slime and try experiments you’ve never tried. Together we make different snacks each day like no apple pie, no bake cookies, and many more. 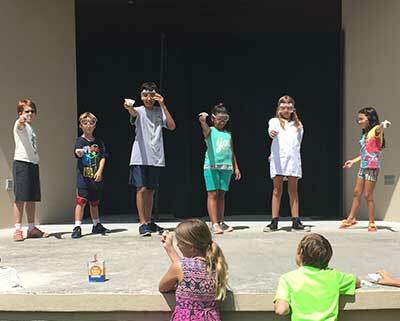 On Friday everyone is invited to taste the homemade ice cream and drink the root beer we made while watching The Chemistry show put on by you and your friends. Are you a true gamer? Do you talk about games, think about games, and have a few ideas for games of your own? This is your camp! Become a part of a one-week gaming studio, design characters, create new worlds, and build challenging levels. Use the latest gaming software like the new Scratch 3.0, Code.org's APP Lab, and Gamesalad. Work as a team of artist, programmers, and developers to make your game come to life. Throughout the week you and your friends will work on computers and on the playground as we make new versions of tag, capture the flag, and any other games we can think of. On Friday you will run the Game World Expo to showcase your accomplishments and share new ideas for your future games. Where is the Norris Center? Camps are Great, But There’s Only Room for 15 campers! Don’t want to miss it? Email Us and we will let you know when registrations opens so you can be one of the first to register. Most of our June camps are full soon after registration opens. Our July camps are usually full by May. We have no control over when the city of Naples opens enrollment but we can help by letting you know when they do. Fill out this for and we’ll contact you as soon as you can register. Super Science and Amazing Art saves two spots in each camp for campers who might not be able to attend. That’s over 36 campers each year. With your help we can do even more. Become a Sponsor for $250 a child and you’ll not only be able to write it off as a marketing expense becuse we put your logo on our site, but you’ll make a difference in a child’s life. Subscribe to get updates on all of our events. Do people still fax? Text me a Screen Shot! If you would like for us to come out to add to your event, assembly, or 3 hour day camp. Send us an email and we will make it happen.